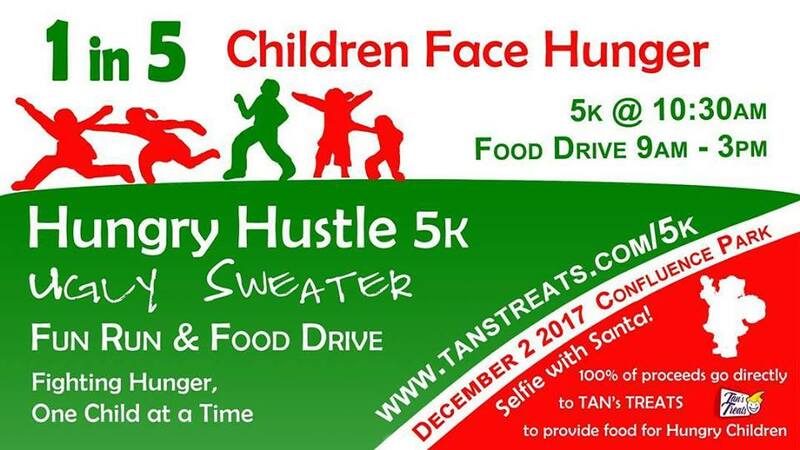 ST. GEORGE — For the second consecutive year, Tan’s Treats is holding the “Hungry Hustle Ugly Sweater 5k Run” in support of a program that provides thousands of meals to more than 600 Washington County school children who may otherwise go without. 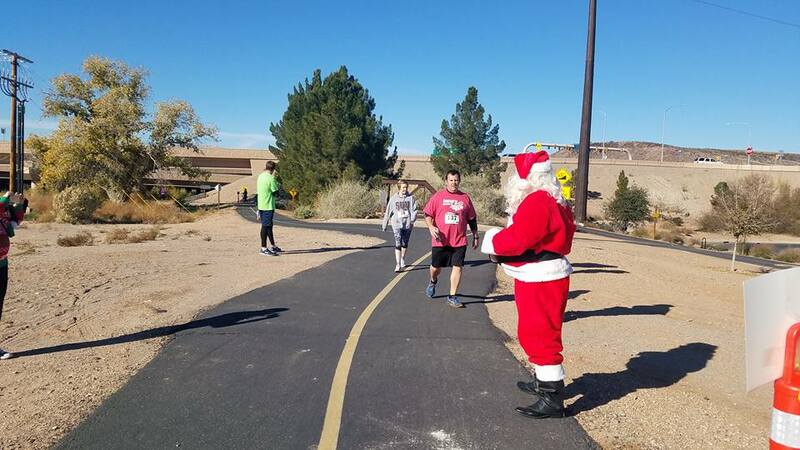 The spirited holiday 5K fundraising event and food drive will be held Saturday, Dec. 2, starting at 9:30 a.m. at Crosby Confluence Park, 1953 S. Convention Center Drive, St. George. Each of the five kilometers will be marked with fun activities including tinsel, Christmas trees, snowballs, candy canes, a selfie with Santa and more. “So find your ugliest sweater, put on your running shoes and be prepared for a fun run filled with Christmas joy, and a whole lot of happy, nonhungry kids,” Nicole Goulding said. In Utah, more than 89,000 children don’t have enough to eat, about 20 percent of the 440,000 children residing in homes across the state. Tan’s Treats is on a mission to change that and needs the community’s support. 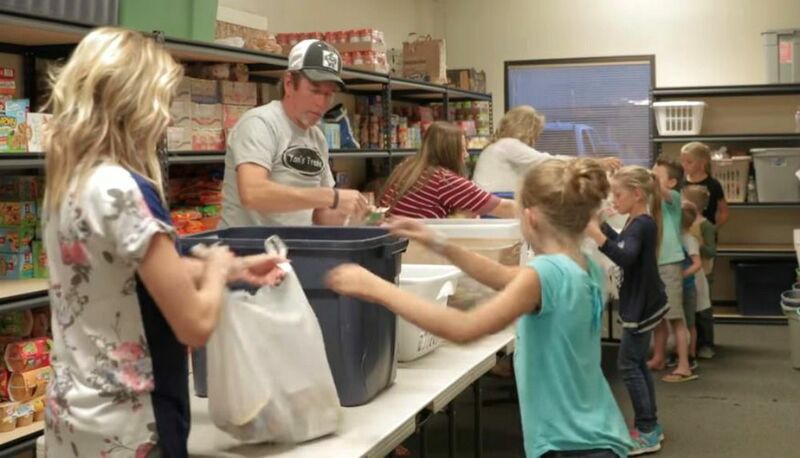 Tan’s Treats, a family-run operation staffed by volunteers and led by one remarkable family, provides 20,000 meals each month to Washington County school children who may otherwise go without. The meals help children obtain the nutrition they need during the weekend when school lunch programs are not available, allowing the kids to arrive at school ready to learn and develop properly. The local nonprofit organization packs a weekend bag of food consisting of three meals and one snack for both Saturday and Sunday. The bags are delivered to schools where staff give them to children who have opted into the program. In addition to the weekend bags, the program also provides family meal bags that include items to be prepared for the family during school breaks, such as Christmas or spring vacations. This Thanksgiving, Tan’s Treats packed 9,255 meals that included breakfast, lunch and dinner along with 1,200 snacks for the children and their families during the Thanksgiving break, enough food for the five-day period. With the upcoming Christmas break less than one month away, those numbers double. In December the group will pack more than 18,000 meals and 2,400 snacks for the 617 children and their families, which will provide them with food for a 10-day period. The story of Tan’s Treats began years earlier when Tanner Holt, an elementary school student, gave his lunch to another student who arrived in the cafeteria with nothing to eat. Once his mother, Diane Holt, learned of this, she started making two lunches for her son to take to school, which she continued to do throughout the school year. Years later, 23-year-old Tanner Holt died in a tragic accident, and his grief-stricken mother decided to honor her son’s life by giving, she said. She started by purchasing clothing to be donated to people in need. Today, the organization provides the meals to 617 children enrolled in four elementary schools, but there are 25 schools and more than 12,000 students who qualify for and would benefit from the program. Last year more than 160 individuals participated in the Hungry Hustle Ugly Sweater 5k Run that raised $6,500, which provided 21,000 meals, in addition to the $600 in food that was collected. Items needed for the food drive include nonperishable, easy-to-open packaging that is individually wrapped and easy enough for kids to make themselves, including instant oatmeal packets, fruit cups, cans of Vienna sausage or tuna and ramen noodles, to name a few. To sign up for the 5K run, visit www.Tanstreats.com/5k. Food drive items can be dropped off at the Crosby Family Confluence Park from 9 a.m. to 3 p.m. on the day of the event. More information can be obtained on Facebook or by calling 435-627-3163. What: Tan’s Treats Hungry Hustle Ugly Sweater 5K Run and Food Drive. When: Saturday, Dec. 2. Packets can be picked up and pre-run festivities begin at 9:30 a.m.; 5K run begins at 10:30 a.m. Items for the Tan’s Treats Food Drive can be dropped off at the park from 9 a.m. to 3 p.m.
Where: Crosby Confluence Park, 1953 S. Convention Center Drive, St. George. Registration fee: $25 for single entry; family entry – up to six members, $65, and $5 for each additional family member. Early sign up available here. Participants can also sign up on the day of the event.